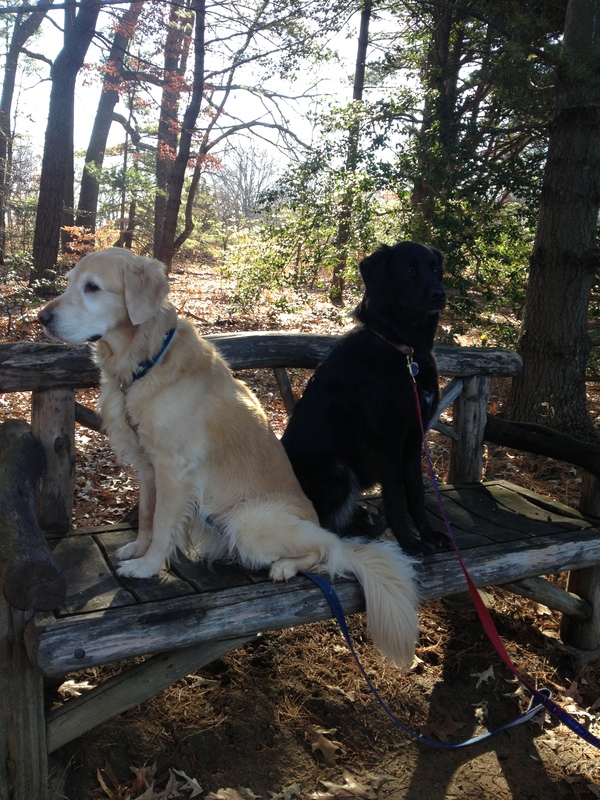 I recently discovered a hidden dog-friendly gem right in the city–the U.S. National Arboretum. Having passed the sign for the arboretum for years while traveling out New York Avenue on my way to Maryland, I finally decided to check it out. What I discovered was a 446-acre living museum with vast collections of trees, shrubs, and plants set on rolling hills and dense woodland. 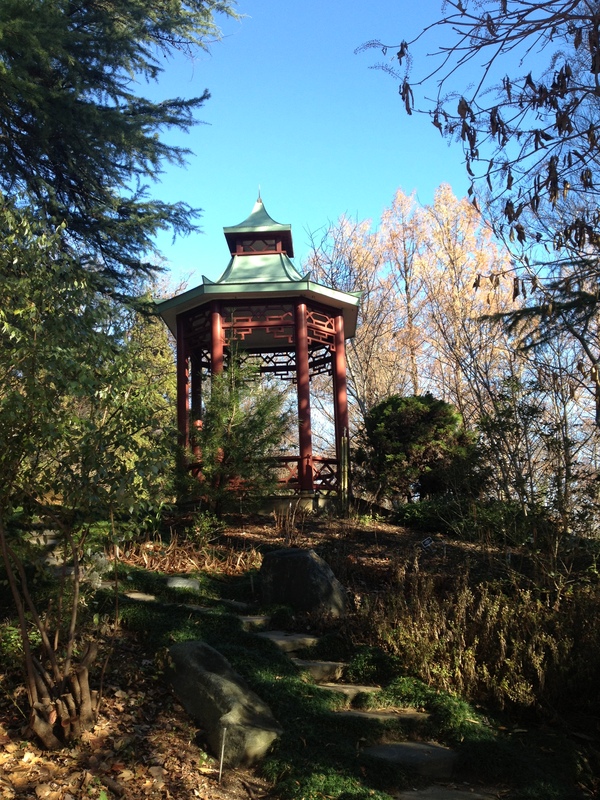 While we visited in November, when the flowers aren’t blooming and most trees have dropped their leaves, it was easy to envision how beautiful the groves of azaleas, magnolias, dogwoods, camellias, and other flowering plant species are when in full bloom. There are nine miles of paved roads, or you can take rough trails through woods and overlooking the Anacostia River. There are benches scattered throughout the property so you can stop to enjoy beautiful Asian gardens, unique azalea, hollies, magnolias, pre-colonial native plants and more. 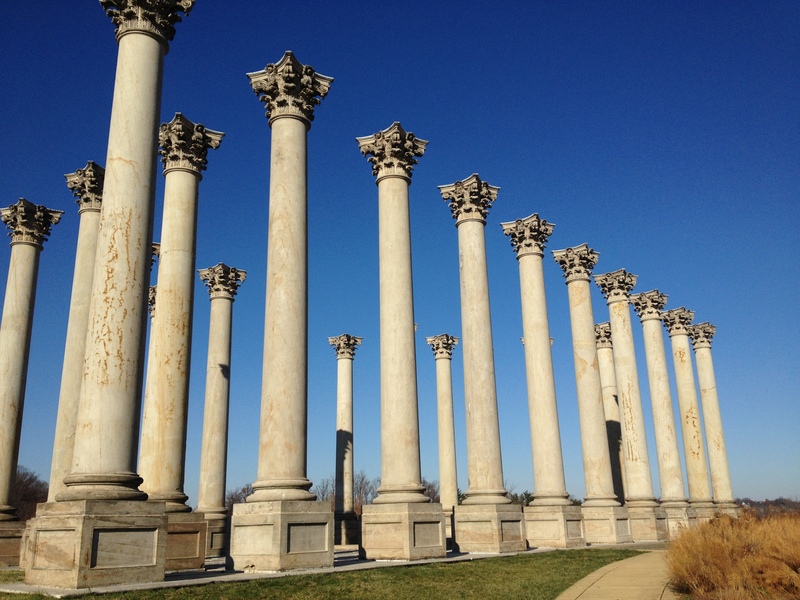 I really enjoyed the National Capitol Columns, which sit in front of a reflecting pool in the middle of a 20-acre meadow. The sandstone columns were constructed in 1828 for the Capitol building, and a display shows them in use during a speech by President Abraham Lincoln. There is no admission fee, and plenty of parking throughout the property. Hi, Gwyn! 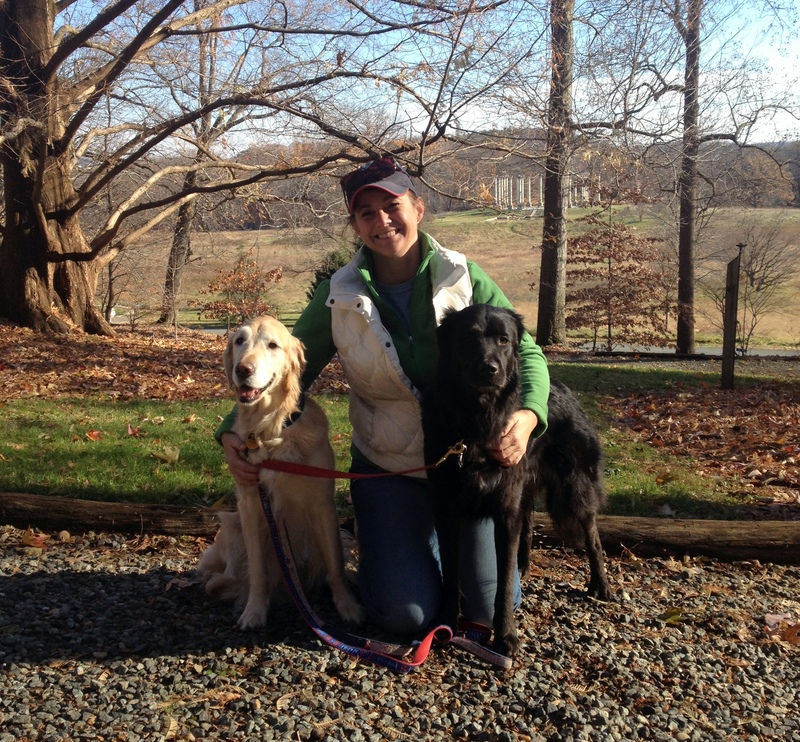 Olivia and I LOVE the National Arboretum! Such a fantastic place to enjoy with your dog.